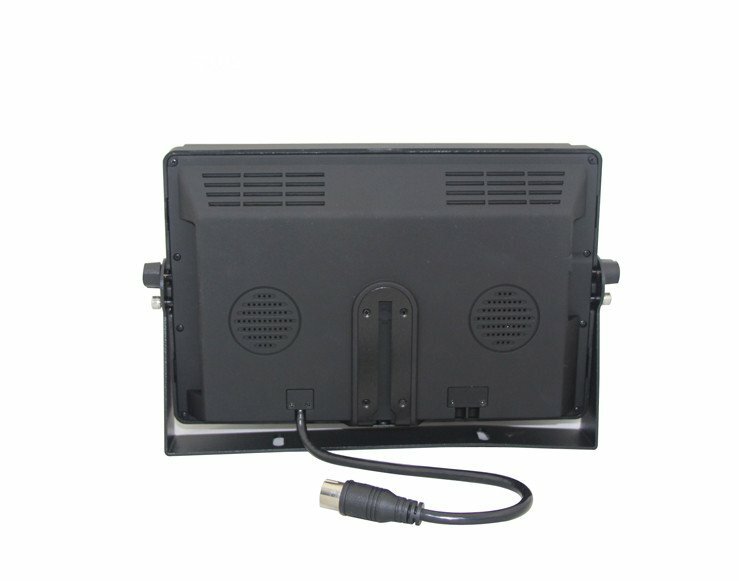 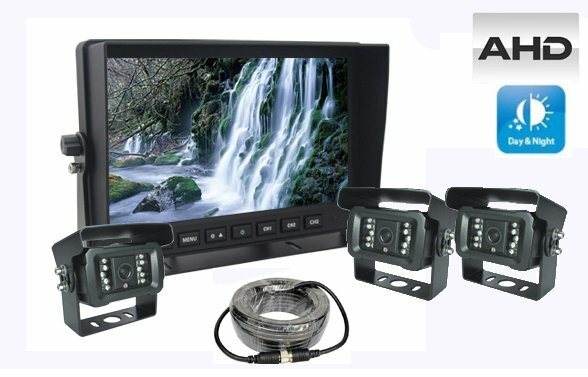 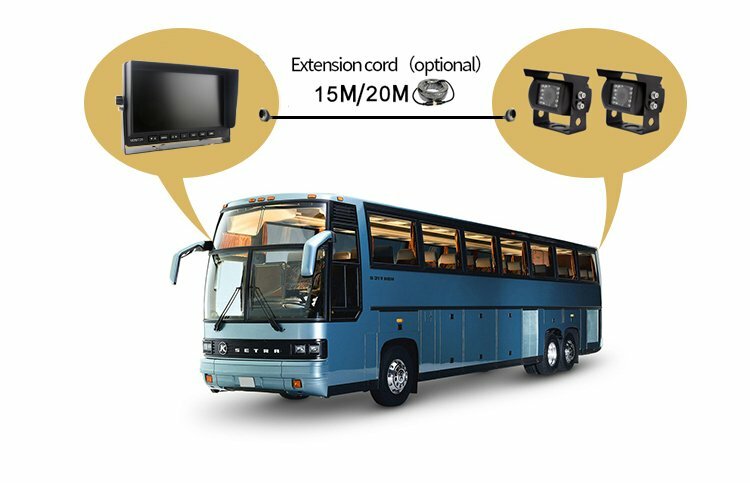 AHD reversing set with 7" LCD monitor + 3x camera + 18x IR LED up to 10m has a wide range of use, suitable for van, minibus, caravan, bus, truck, semi-trailers, agricultural machinery and other vehicles. 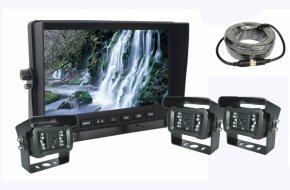 Set includes big LCD monitor, 3x camera input, all in AHD resolution. 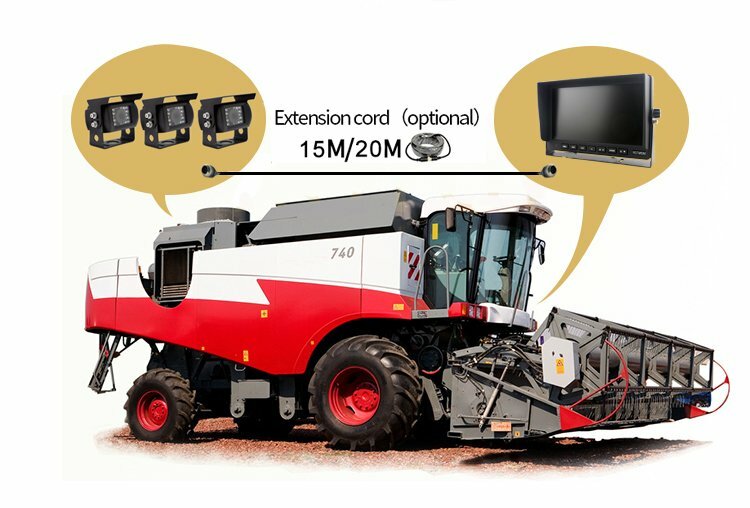 Thanks to the AHD resolution of the monitor and camera you will see all the details clearly and sharply, and the AHD camera will take care of the quality of the image not just during the day, but with 18 IR LEDs you will see well at reversing even at night. 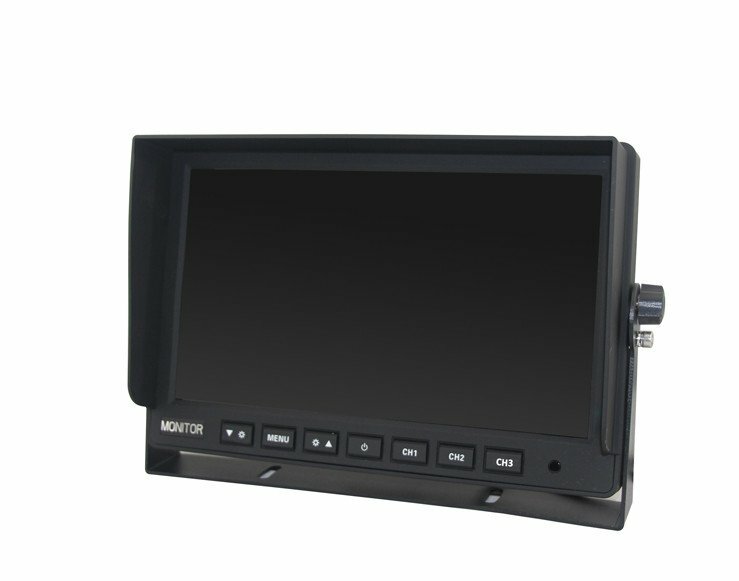 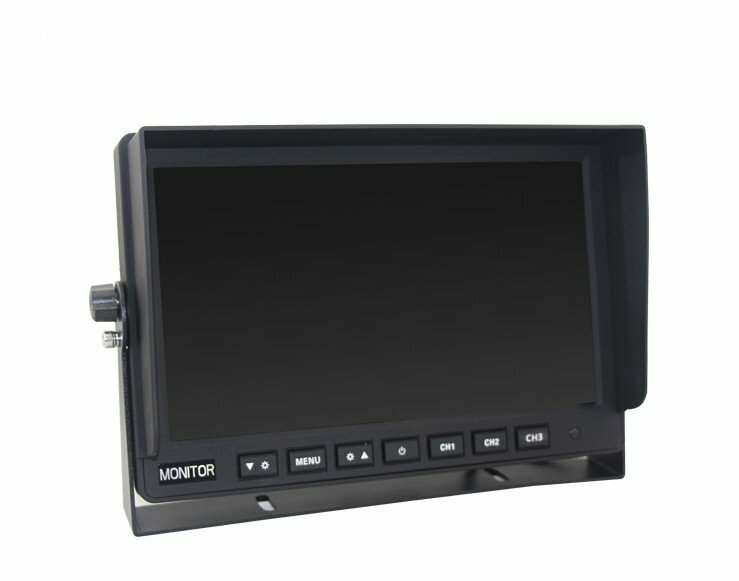 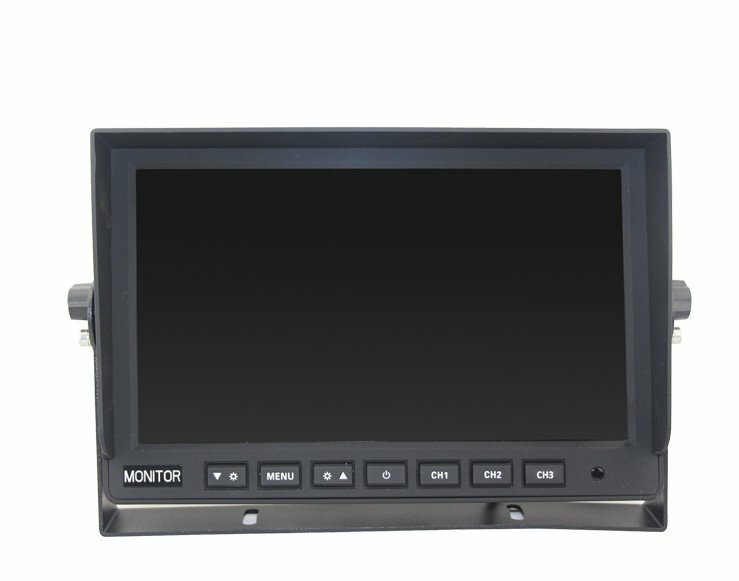 The size of the LCD screen determines this set as an ideal helper at reversing. 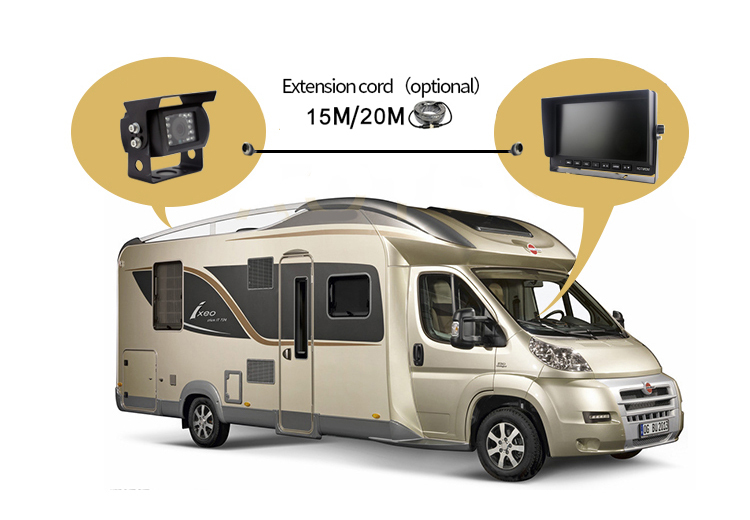 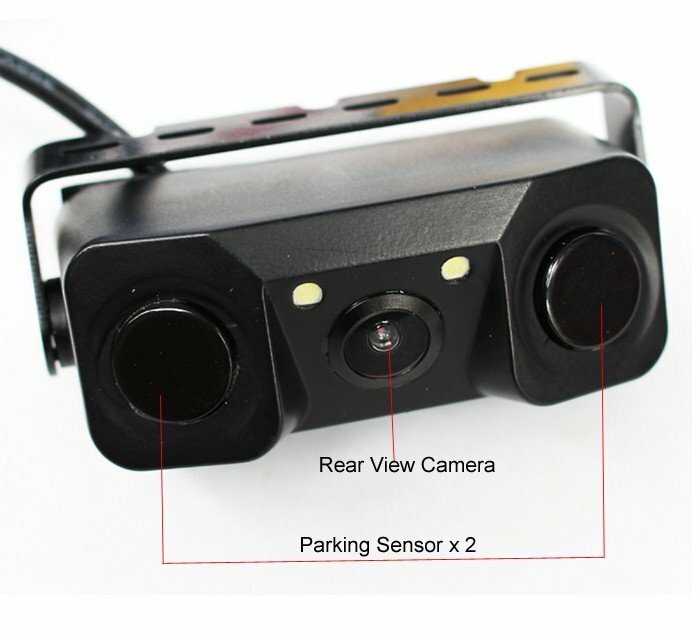 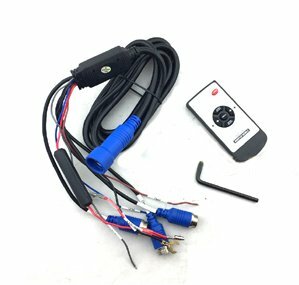 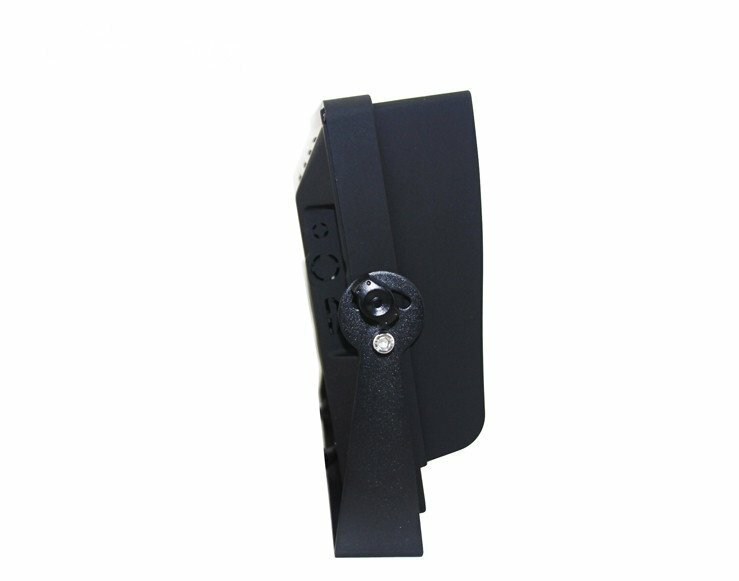 You have the option to connect up to 3 reversing cameras, what you will appreciate especially when installing on larger motor vehicles where you need more views from different angles. 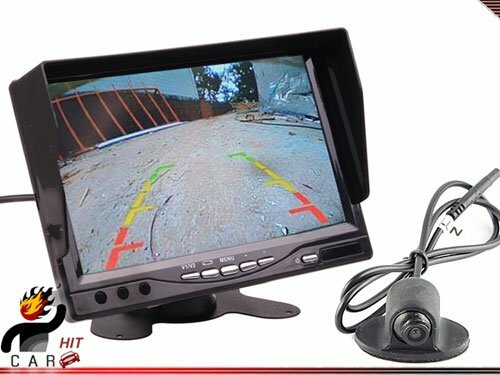 Thanks to this system, you will know exactly what happens behind or around the vehicle. This set includes a 7" LCD monitor + 3x IR night vision camera + 3x 20m cable to connect the camera with a monitor. 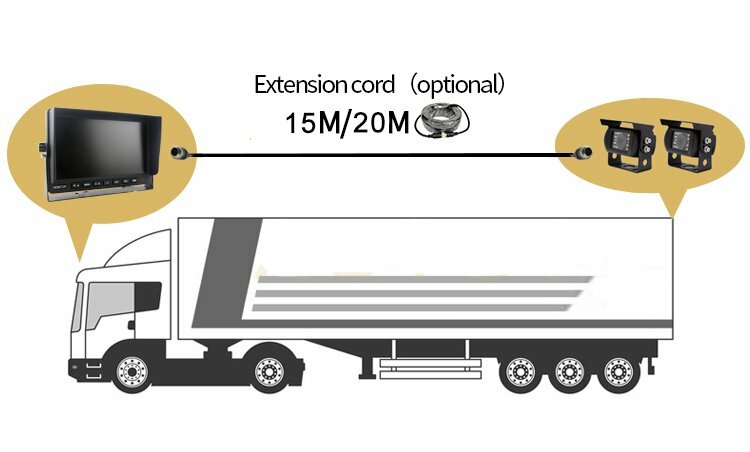 This miniature set has a wide range of use. 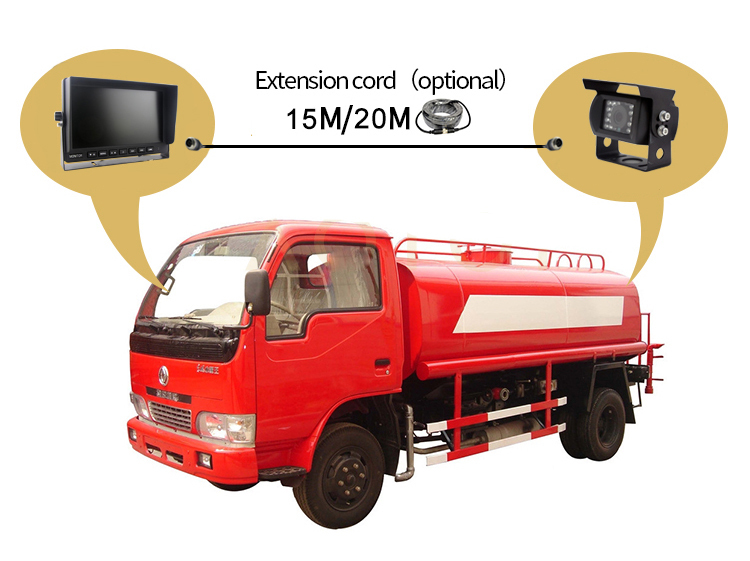 It is suitable for van, minibus, caravan, bus, truck, semi-trailers, agricultural or construction machinery and other vehicles. 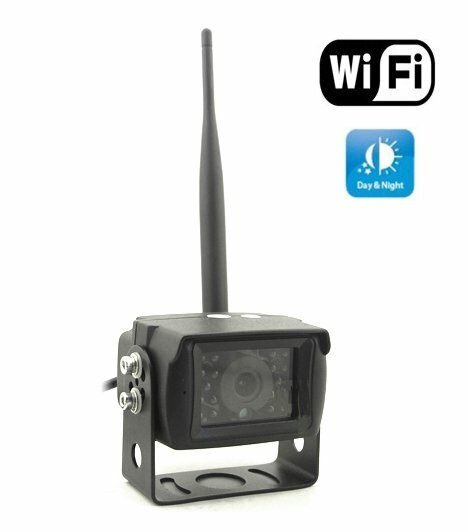 IP protection level of the camera is up to IP 66 what means it is waterproof, dust-proof and resistant to damage.